Afghanistan is driving fearful debates all over the world. Officials and academics are vigorously engaged in lengthy discussions over the fate of post-2014 Afghanistan. By default, Pakistan also occupies the centre stage for a possible central role it can play in facilitating the tardy reconciliation process. Outsiders also wonder about Pakistan’s dealing with forces that directly threaten the interests of Afghanistan and its people. “I am surprised to hear why almost every scholar criticises Pakistan,” said another Chinese academic, recalling her encounters with foreign scholars at international conferences. Two former ambassadors to Pakistan were equally vociferous in their support for Pakistan. They also expressed deep concerns about Pakistan’s fragile economy and said they would love to see the successful implementation of the 128-plus projects as soon as possible as a measure of economic stabilisation and political solidarity. A senior vice-president of a Chinese think tank went several steps farther than many of his colleague when he loudly pronounced that, “Pakistan has made glorious contributions to the global war on terror and as a consequence, has suffered enormously both sociopolitically and economically”. Here, official Chinese scholars were pleading Pakistan’s case like even Pakistanis themselves don’t. It was quite comforting to hear Chinese friends speak up for Pakistan as ‘the victim of the war on terror’. 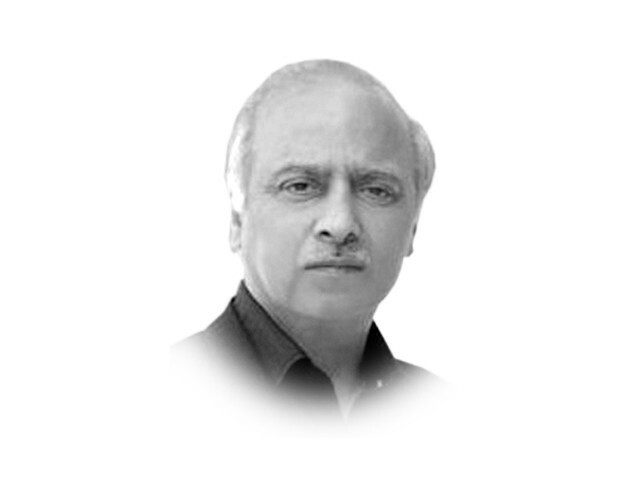 They put up this defence of Pakistan in the presence of leading Western think tankers, intellectuals and ex-diplomats including those from the US, a country that generally still looks at Pakistan with critical scepticism and a sense of anger for being ‘duplicitous and not helping in the Afghan reconciliation’. The Chinese message was quite clear: Pakistan has suffered enough and instead of continuously condemning it with undue expectations, China will stand by it come what may. Chinese officials, despite being cognisant of some contradictions within Pakistan’s security apparatus, admit that its capacity to handle many internal conflicts is totally stretched and that the external players need to strengthen that capacity to fight off terrorist movements. Another important message that the Chinese keep conveying to Pakistan relates to the articulation of Pakistan’s policies. They offer a simple recipe for it: while clearing your decks, don’t be defensive about what you do in your national interest. But you should also remain open to realignments and policy adjustments as advised by friends rather than acting out of self-imposed cocoons. Chinese officials and academics, however, also wondered whether the Pakistani ruling elite have finally taken the right turn? They are curious about the will to fight terrorism. While extending unconditional support, they expect categorical answers from Pakistan as to whether ambiguity over state institutions’ relationships with non-state entities is making way for a more candid policy embedded in a commitment towards indiscriminate rule of law? This left us all wondering that, while China is supporting Pakistan rather vehemently, are the Pakistani ruling elite and the military establishment also ready to help Pakistan? Next End of US World Supremacy?